PIP provides a comprehensive offering of head protection, including hard hats, helmets and bump caps. Our JSP® line of Hard Hats is available in numerous styles and colors, but that's only the beginning. Remarkable, proprietary features that out-perform the competition in comfort, suspension and retention meet and exceed the ANSI requirements. We also offer a line of Bump Caps to protect against incidental bumps and scrapes, as well as specialty helmets for industries such as high altitude workers, fire, rescue and wildland. There are a number of factors that lead to choosing the proper hard hat for a working environment, including style, suspension, the ANSI/ISEA Z89.1-2014 standard risk assessment and electrical class. Specialized variations are available in both cap style and full brim hard hats. Allows air movement inside the shell for better user comfort and cooling. This can reduce the inside temperature by an average of 4-6°F, and is ideal when using cooling products. 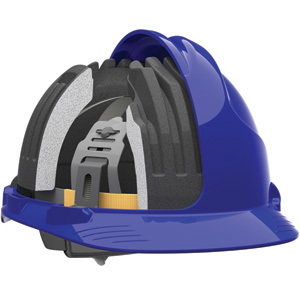 Mining hard hats feature a lamp bracket on the front and a cable loop on the rear of the hard hat. JSP®'s mining lamp bracket is non-corrosive and will receive 99% of the "World's Mining Lamps". 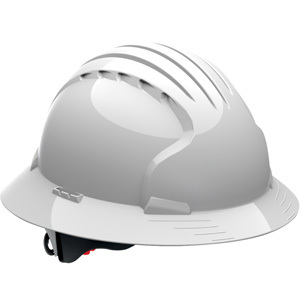 Hard Hats in the US must meet the Z89.1-2014 safety standard set by ANSI/ISEA. The standard establishes the types and classes of hard hat options that provide appropriate protection for hazards in their specific workplaces. protection means the hard hat is proof-tested at 20,000 volts. protection means the hard hat is proof-tested at 2,200 volts. protection means the hard hat is not intended for use near electrical hazards, but is vented for breathability. If the wearer is not using electrically insulated gloves or any other electrical protective clothing, it is likely that the Class E is not a necessary requirement to meet. In such cases, the benefits of a Class C Vented hard hat, such as comfort and reduced fatigue from heat exposure, will help improve output from the worker. Our Class C hard hats still have no metal components. The suspension system of a hard hat absorbs the force of an impact. The amount of suspension points spread out the force of an impact to protect the wearer, dispersing the initial shock. Below is an example of what would happen when a ten pound impact hits a 4-Point and a 6-Point suspension. 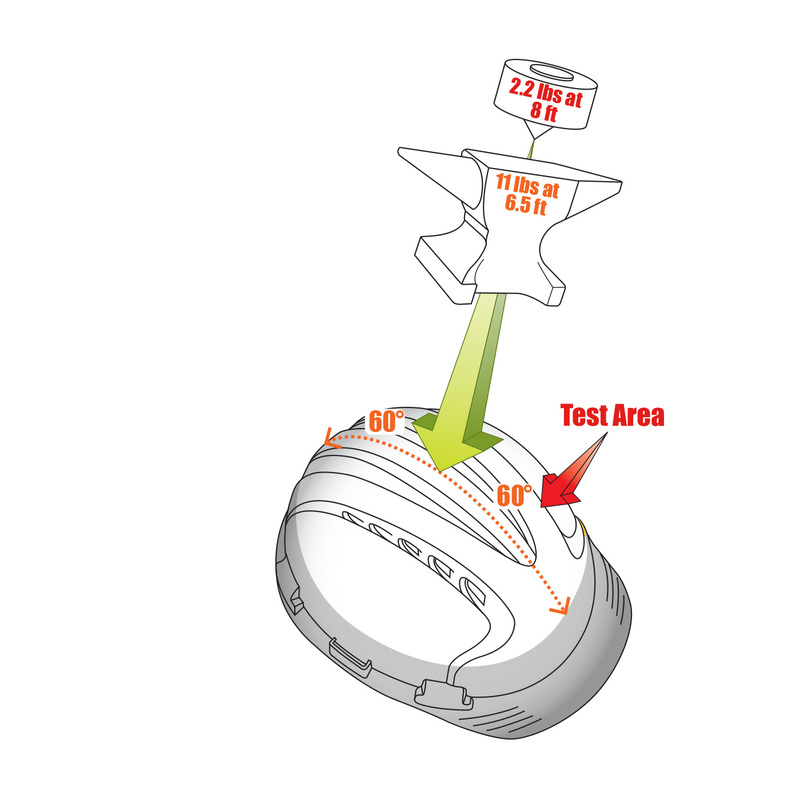 A suspension is adjustable to properly fit the hard hat to the wearer's head. Options are available for ease of use and cost. Provides quicker and easier adjustment, and is less likely to snag in longer hair. A more economical solution that is still simple to adjust. Some may use a system of pinlocks. 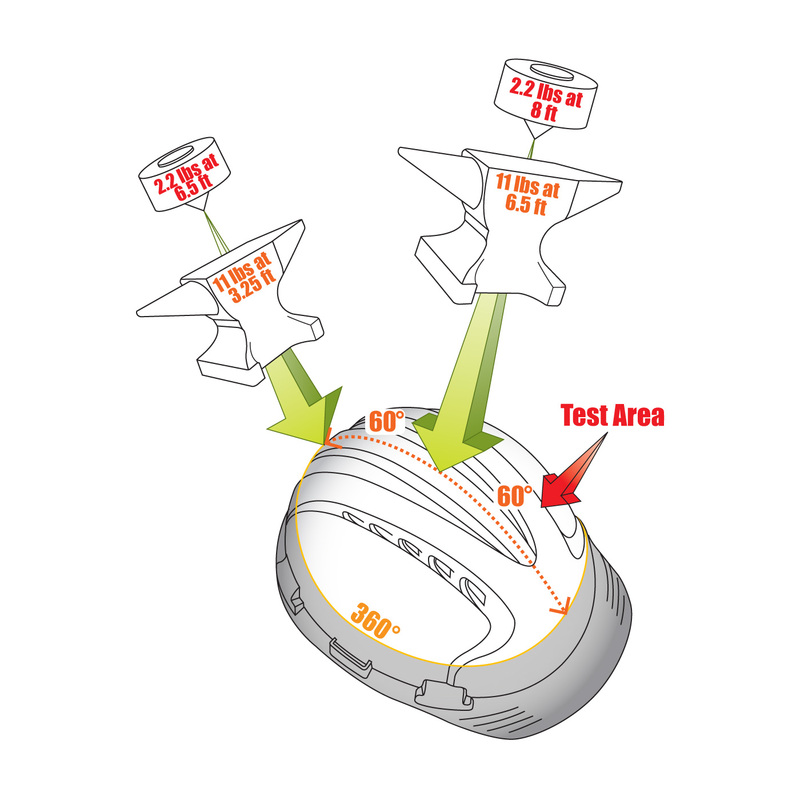 Unique to JSP® Hard Hats, 3D Precision Fitting allows the harness to be adjusted by depth with three receiver settings at each suspension point. CR2 Reflective Decal Kits are a great way to increase visibility in hazardous environments where workers must be seen. Class R2 reflective material offers significantly more brightness than standard reflective material, and the high intensity prismatic pattern features enhanced brightness day or night in any weather conditions. These stickers are easily applied to a hard hat and offer 360° coverage. Offered in multiple colors, it is a great way to distinguish between workers with different tasks, especially in dark spaces where a hard hat color may not be easily seen. Getting workers to wear head protection can be tough, especially in areas where hard hats are not required. It’s estimated that a third of all impact injuries to the head are suffered by workers who bumped into stationary objects while not wearing any head protection. The low profile style of a bump cap increases wearer acceptability and reduces injuries. BASEBALL CAP STYLE - Low profile, ultra sleek design increases user acceptability with the comfort and look of a regular baseball cap. Holes in the liner match up with mesh panels on the cap for coolness and comfort. HDPE LINER - The HDPE removable liner for front-to-back and side-to-side protection from bumps and scrapes.